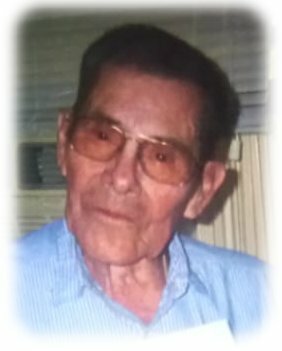 Funeral services for Jose Refugio Silva, age 92, of Albert Lea, will be held at 10:30 a.m. on Monday, November 26, 2018 at St. Theodore Catholic Church. Father Kurt Farrell will officiate. Interment will be at St. Mary’s Cemetery. Visitation will be from 5:00-7:00 p.m., Sunday, November 25 at Bayview/Freeborn Funeral Home and one hour prior to the service at the church on Saturday. Online condolences are welcome at www.bayviewfuneral.com. Refugio died Monday, November 12, 2018 while on vacation in Mexico. Jose Refugio Silva was born June 29, 1926 in Guanajuato, Mexico, the son of Genaro and Ermenejilda (Duenas) Silva. He came to the United States on July 4, 1955, living in Albert Lea. In 1958, Refugio was united in marriage to Alejandra Luna at St. Mary’s Church. Alejandra died in 2002. On July 2, 2016, Refugio married Angela Lazon. Refugio worked as a welder for over 30 years in Albert Lea. He was a member of St. Theodore Catholic Church. Church was very important to him and he sang in the choir. As a young man, Refugio played in a band on the accordion and violin. He also enjoyed gardening in his yard. Refugio is survived by his wife, Angela; children, Antonia (David) Holmquist, Guadalupe (Mark) Bennett, Refugio (Anne) Silva, and Jesse (Debra) Silva; 12 grandchildren and 3 great-grandchildren. Refugio was preceded in death by his parents; first wife, Alejandra; infant daughter, Maria DeJesus; son, Paul Silva; and son-in-law, Dan Ditlevson.